We approach these questions in the context of the preferences of Indian farmers over electricity pricing and diesel subsidies. Because India’s agriculture is heavily dependent on groundwater for irrigation, the cost of electricity and diesel – the two fuels used to pump groundwater – is a critical ballot-box issue for farmers. Electrified pumps are much more efficient than diesel pumps, and a rational irrigation policy would encourage farmers to use electrified pumps with electricity prices that both cover the cost of power generation and discourage excessive groundwater pumping. In practice, however, state governments provide farmers with diesel subsidies and an electricity supply that is heavily subsidized but unreliable. 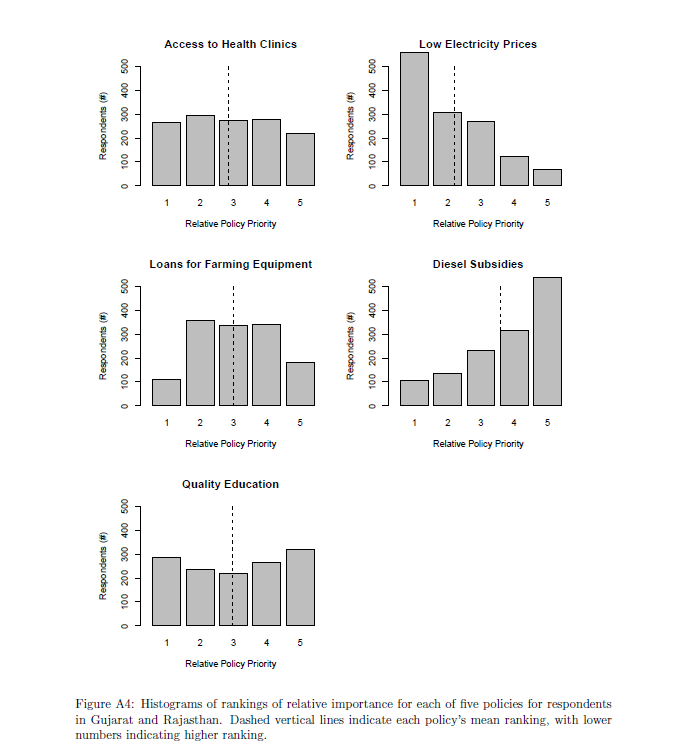 The most important finding is that trust in government consistently predicts farmers’ policy preferences for diesel and electricity policy in elections. In particular, trust in the central government is a critical pre-condition for interest in electricity pricing policies. 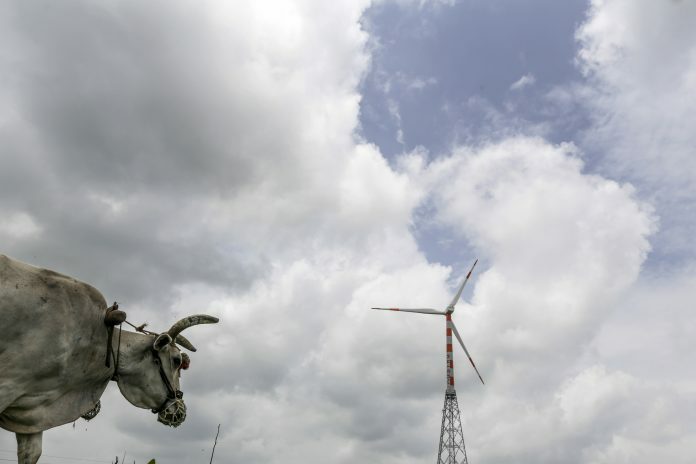 Farmers who trust the central government are more likely to be in favour of electricity reforms, suggesting that farmers believe that the central government is in a good position to enact reforms, despite the important role that state governments play in energy policy formulation. This finding from our surveys dovetails with our field research, which suggested that skepticism about the government’s intentions or capabilities – usually because of frustration from past campaign promises – made farmers unreceptive to potential reforms. Subsidy preferences’ effect on voting is particularly important from a political economy of development perspective, because it is the combination of electoral incentives for politicians and low 5 political trust among the public which contributes to the (status quo) unsustainable and poverty perpetuating equilibrium. While studies document that Indian politicians face electoral pressures to maintain subsidies, fewer focus on understanding the source of public opposition to policy reform, and among those that do, the focus is on the broader sources of support and opposition in the general population. Our focus on farmers is critical in India, since it is exactly this large and electorally powerful group who are necessary to convince in order for politicians to successfully advocate reform and for the current ‘vicious cycle’ to be broken.